Microsoft's 15-inch Surface Book 2 launched back in November to a fairly positive reception from critics and users alike in spite of its hefty $2,500 price tag. A small controversy did crop up when gamers later realized that the device's battery could drain even while gaming with the system plugged in. That said, with its beefy GTX 1060 GPU, 500GB SSD and 16GB of RAM, it isn't hard to see why many users have been willing to overlook its issues. As powerful as the device may be, non-US customers haven't been able to get their hands on it for quite some time. 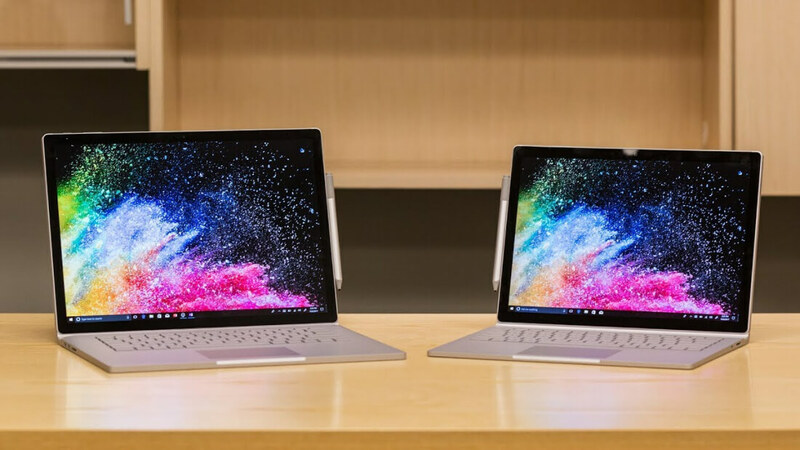 Fortunately, that's about to change as Microsoft has announced that pre-orders for the 15-inch Surface Book 2 will open up to 17 additional countries today. These countries include Australia, Austria, Belgium, Canada, Denmark, Finland, France, Germany, Ireland, Luxembourg, the Netherlands, New Zealand, Norway, Poland, Sweden, Switzerland and the United Kingdom. The company did not specify when they expect the machines to actually ship out, however. An additional 17 countries will be receiving both the 13-inch and 15-inch Surface Book 2 models for the first time in February. These countries include Bahrain, China, Hong Kong, India, Italy, Korea, Kuwait, Malaysia, Oman, Portugal, Qatar, Saudi Arabia, Singapore, Spain, Taiwan, Thailand and the United Arab Emirates.